If there is one brand that I can count on to release amazing products time and time again it’s without a doubt Clarins. They never fail to amaze me with how great their releases are and I’m always waiting eagerly for the next press release to drop into my mailbox. This Summer comes the release of Clarins’ new Limited Edition Ombre Waterproof Eyeshadows. If you’ve been reading BekyLou for a couple of years now, you may know that the Ombre Cream to Powder Eye shadows from Clarins are an all time favourite of mine and so when I found out that they’d made a cream, waterproof version I got quite a bit excited. My eye shadow collection is quite extensive but one thing that I have really been lacking is cream shadows. I’m not a massive fan of when they come in little pots but Clarins new tubes are perfect for easily dispensing product and applying it to my eyelids. The eye shadows themselves are nothing but gorgeous as was expected from Clarins. I was very kindly sent three of the four limited edition shades and I have to say that they are all shades that I will happily wear and have done already to be honest. I usually like to use a Clarins Eye Perfecting Base before applying my powder shadows and so recently instead of using that I’ve been reaching for one of these cream shadows. 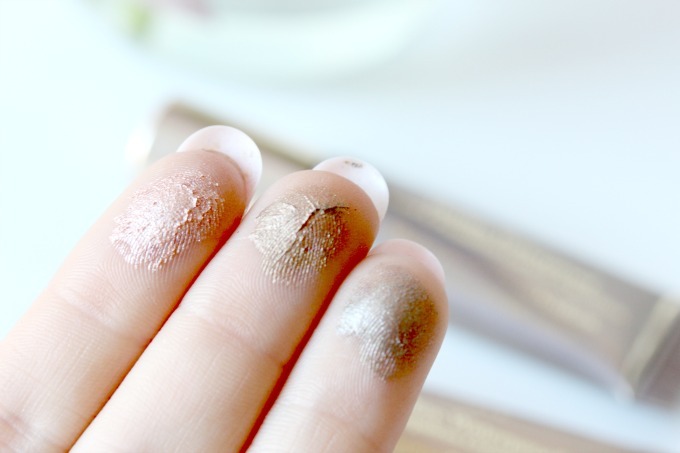 They’re the perfect base to apply shadow onto the top of and also give a gorgeous shimmery colour at the same time. Packed on these are quite pigmented as you can see from the swatches above, but once blended they create a subtle smokey base which is great for building on to. I’ve been wearing these almost every day since I’ve received them and I’ve been mixing it up from day to day as to how I’ve been wearing them. They’re perfect for using not only as a base shadow / primer colour but also just to wear on their own. When I’m running late in the morning it’s great to be able to just pop a little bit of this on my lids and then blend it out with a fluffy brush. The best thing that I have to say about these shadows are that they are waterproof. Not that you wouldn’t have already guessed that by the title of this post, but you know. I’ve honestly never heard of a waterproof eye shadow. Mascara, Eyeliner, yeah, but not eye shadow, so I was deeply intrigued to see whether it would work or not. Living in Manchester that wasn’t too hard a task and after a really sunny day, of course it had to rain lots and my waterproof eye shadow was put to the test. I have to say I was rather impressed. Of course there was a little disturbance from my powder shadow as that made it’s way slightly down my face but all in all my base was still in tact and I think if I hadn’t been ambitious with eye makeup that morning it would have still been looking good by the time I’d gotten home that day! I will however keep you updated on my social media for this though so make sure you’re following me on the links below. 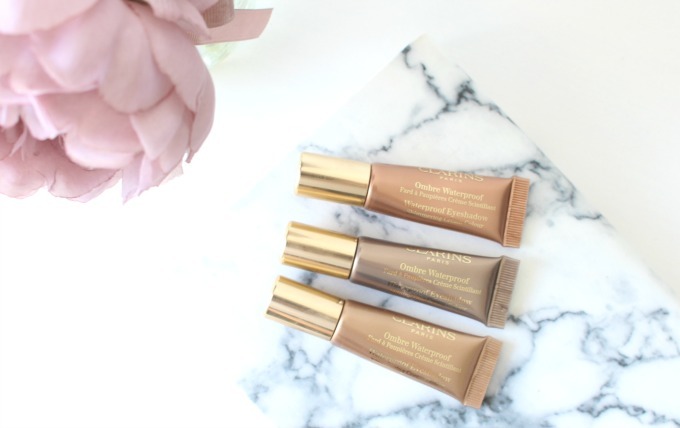 What are your thoughts on Clarins’ new Waterproof cream eye shadows? Will you be picking some up this Summer? I’m loving them so far and can’t wait to see how they fair in the Florida heat over the next few weeks!